Ballet Ball pops with here-comes-Spring energy! 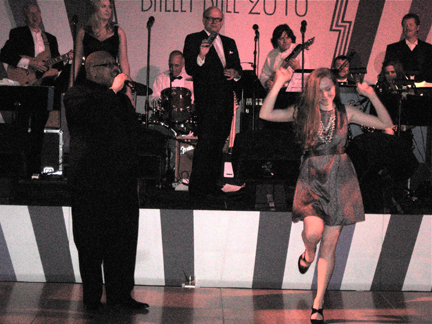 There was a lot of energy at Ballet Ball 2010. Perhaps the 400 people who turned out were curious to check out one of Nashville's newer venues, the Hutton Hotel. The night began with guests being directed up the lobby staircase to a landing and then into an elevator that opened into a long rectangular lobby for cocktails. After a spell, everyone filtered past a sea of orchids into the ballroom for dinner. Catching their eyes right away was an Art Deco style backdrop behind the band on the stage.